Special Handstamps now visible on Royal Mail's new webpage. With effect from 3rd October 2017 new Postmarks will be announced online at www.royalmail.com/postmarks. 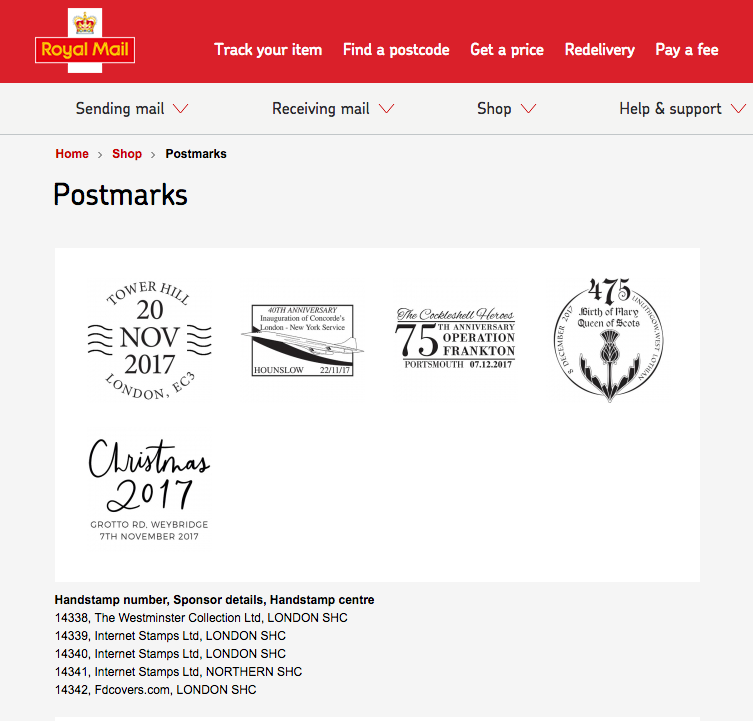 This ensures that Sponsored Postmarks are announced earlier throughout the month in which they’re received by us, rather than waiting until the end of each month when they will be published officially in the Postmark Bulletin. Whilst it didn't happen to schedule, the page has now gone live and you can see it here. Would be helpful if they could add slogan postmarks as well so all the info is in one place? Indeed: although they don't actually publicise slogan postmarks anywhere intentionally, only by occasional press release, and few of those are available before use.